For many pet owners, the idea of cremation has not been thought of prior to the death of the family pet. Many may have buried childhood pets at home, or have not experienced the passing of a pet before. For some, home burial remains an acceptable option, but some pet owners live in areas where burial is not a practical option, or they may wish to be able to take the urn with them in the event of a move. It is important to understand that for some families, cremation can provide dignified after-death care for our animal companions. Allied Veterinary Cremation’s focus is providing third-party cremation services to animal hospitals and veterinary clinics. If your pet passes away at home, carefully wrap the animal in a blanket or towel, then take your pet directly to your regular veterinarian, who can provide you with assistance and information regarding cremation services. 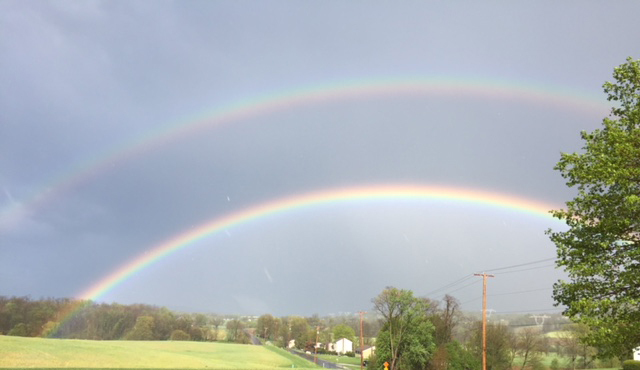 We are pleased to provide services to many veterinary hospitals in Central Pennsylvania. If your veterinarian does not utilize our services, ask them to “Think Local” and consider our services. We do provide home-based services for a limited local area, with pricing generally comparable to that of your regular veterinarian. 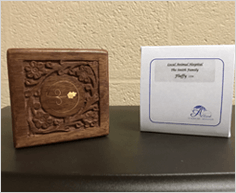 A decorative, carved wooden urn is included with our Individual Cremation service. Our “standard” urn is selected in one of several sizes to accommodate the remains of your pet. The finish on the urns does vary based on availability, but all urns have been selected to provide a decorative urn that the vast majority of our clients suits their tastes very well. 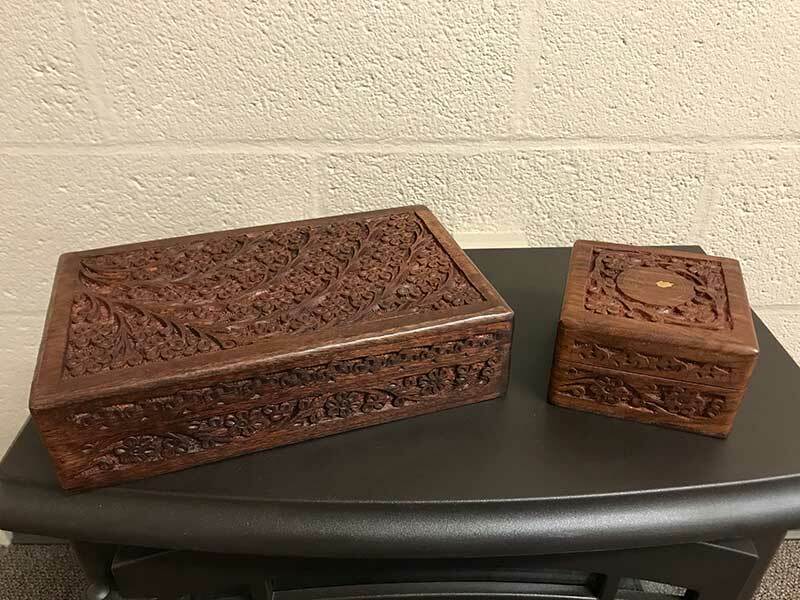 These urns are hinged to allow you to easily view the cremated remains, if you choose, without having to turn them upside down or remove multiple screws. 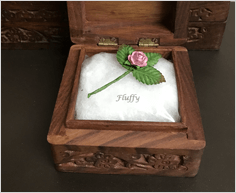 The cremated remains are enclosed in a plastic bag to prevent spills and are adorned with a hand-made paper rose and your pet’s name on the bag. A Memorial Card with your pet and family information and cremation date is also included. Your pet is identified throughout the cremation process by a numbered Cremation Authorization tag, which ensures that each’s pets remains are returned to his/her loving family. What should I do if my pet passes away at home? We are not open on weekends or holidays. If you prefer to leave us a message in the evening or over the weekend, your message will be returned on the next business day. Pet Pantry of Lancaster County, with hours on Saturday 11am – 5pm and Sunday 12-4pm. Keystone Pet Cemetery – Call 610-587-9348 for emergency pick-up services. Please note, if your pet has been bitten by another animal (domestic or wild/feral), you must take the pet to your regular veterinarian or the Pennsylvania Veterinary Laboratory, to ensure that any necessary testing for rabies is performed, prior to arranging for cremation services. After the death of a family pet, it is important to spend time grieving your loss. For some, the healing process may eventually include adding a new pet to the family. You may wish to consider adopting from a humane league or rescue organization. For others, it may not be the right time to consider a new pet; donating your pet’s toys or water bowl, or other items on an organization’s “wish list,” may help you heal. Patton Veterinary Hospital – led by Dr. Elizabeth Revell and is open to the public but requires registration. Call Tiffany Ayres at (717) 246-3611 or email.